Will definitely buy another one. I love it. So much cheaper to buy a large container. Yes, I will purchase again. Great price for really good vanilla extract. I will buy this prodect again and again! My Dad was a Watkins peddler in the late 1940's. My Mother used and loved all the products, especially the Vanilla and Black Pepper. Through out my life I have baked cookies, cakes, pies and have always managed to get the Vanilla somewhere! Love to replace my spices, but they are more difficult to find. Happy to find the Vanilla before the heavy baking season and Holidays are here. Thanks! Great item & my supply is running low. My Husband uses vanilla often. Good price! Ordered because you have Watkins is a good product and it is the best price even with the shipping etc. I like this brand of vanilla. Used it before and really liked it. I remember Watkins Vanilla when I was a child. My mom used this, so I thought I would give it a try again. Love Watkins product and I think it makes cakes, pies, and etc. better. 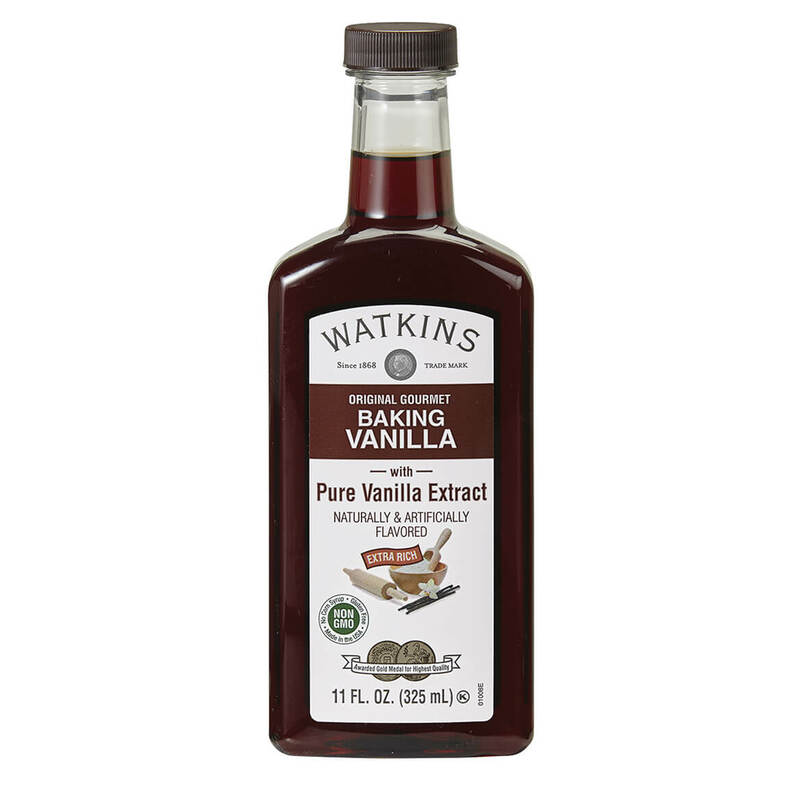 I have used Watkins vanilla extract in my many baking years.. It is the best! I am a baker who likes to use quality products. Watkins is a trusted name. I have been using Watkins Original Baking Vanilla Extract for over 30 years. I normally buy it at county or state fairs when I need it. However, this year, I didn't attend any fairs, and I was totally out of this product. I am ready to start my Christmas baking and just cannot do without it. The flavor of this vanilla is just so pure. I'm just about out and have always used it. needed some hope its good. Is this genuine vanilla extract? BEST ANSWER: Yes, it is. Great product. My mother used this when I was a child long ago. Definitely. I was happy to see it in the catalog.